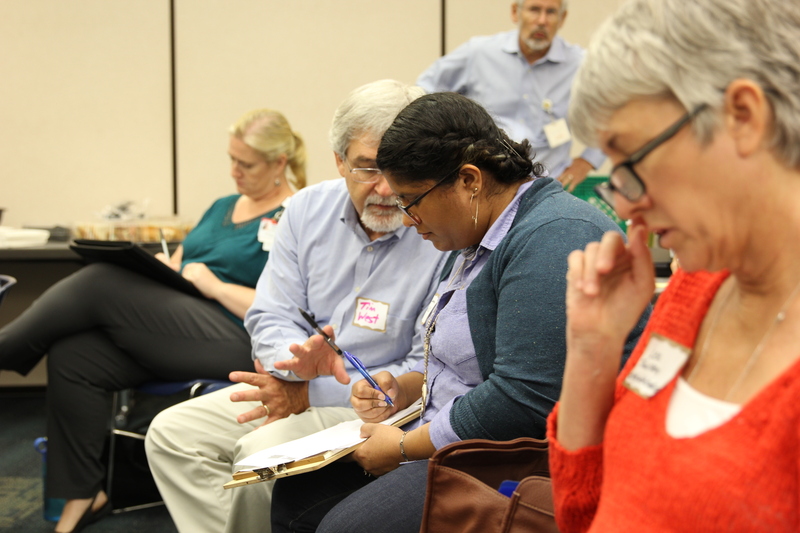 On a Friday morning in August, some three dozen people gather in a large meeting room at the Forsyth County health department in Winston-Salem, North Carolina. Down the halls are public clinics and offices for the staff who inspect restaurants, track diseases, or otherwise keep the public healthy and safe. 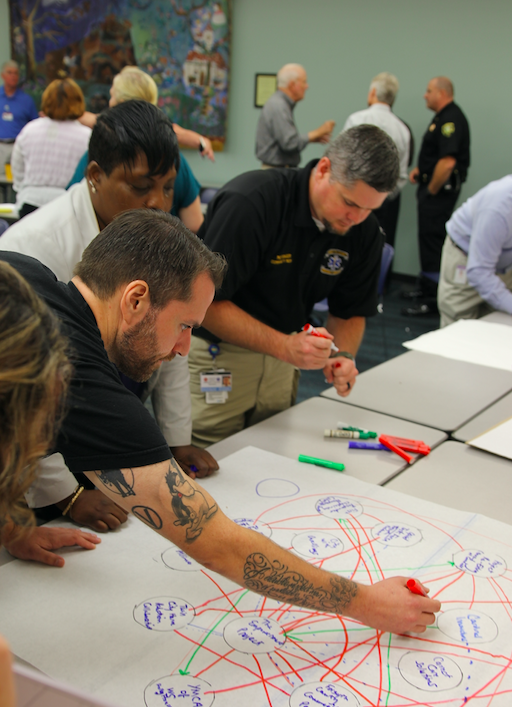 The group is there to identify the assets relevant to the health of people involved in incarceration, homelessness and re-entry programs in the county, and then to combine their wisdom on how to better use those assets collaboratively. These issues are so intertwined it’s impossible to address one without the others. Informal estimates, for example, are that about 80 percent of those in the jail have some kind of addiction issue. 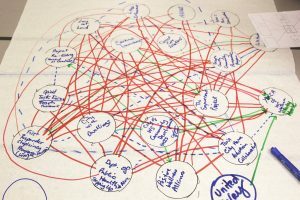 What is Community Asset Mapping? An asset is anything of value, anything that can provide an advantage. By identifying and aligning assets (especially untapped ones) you can achieve powerful results. This is true in your personal life, in an organization, and in an entire community. Rather than focusing on what you don’t have and on fixing problems, in community asset mapping you take stock of what you do have, what’s already there that can be used to improve community life. “We define health and well-being broadly,” said the event’s organizer Teresa Cutts in her invitation. “So this mapping workshop for providers will include traditional healthcare providers, criminal justice staff, as well as clergy, health ministers, not-for-profit staff, including those who run re-entry programs or work with the homeless and for-profit service providers.” Cutts, an assistant research professor at Wake Forest School of Medicine, has run community health asset mappings across the nation and as far away as South Africa. One tells of a 12–month residential program for ex-offenders. An officer from the sheriff’s office lays out a few facts: The jail, which they run, usually has around 760-800 inmates with an average stay of 24 days. And they are seeing a spike in opioid addiction. A woman describes a reentry program for people coming out of the state’s 13 prisons. The group offers therapy, help finding housing, and navigating community college options. They even help replace the eyewear made available to inmates and recognizable as “prison glasses” on the outside. They work with the children of individuals coming out and help them reunite with their children in a healthy way (don’t be surprised when mother comes home and the child is calling another woman “Mom”). One woman, herself an ex-felon and recovering addict, tells of a program with substance abuse that, while successful, serves only 2 percent of the women in the county that need the services. An EMS paramedic seeing the rapid growth in opioid-related calls tells of starting a task force for those dealing with the opioid epidemic. Sixty people came to the last meeting. Another tells of connecting homeless people trying to make a new start with the services they need to succeed. So what do all of these efforts have to work with collectively? The group splits up to create two types of maps on g iant paper: on one side of the room people create matrix of organizations and their services: prevention, medical treatment, case management, advocacy, counseling, education, housing, re-entry, rehab services detox, and so on. Yellow post-its fill the grid. Much is happening but there are gaps. On the other side is a table with a large “spider map” with circles for creating a crude social network map of the different organizations. 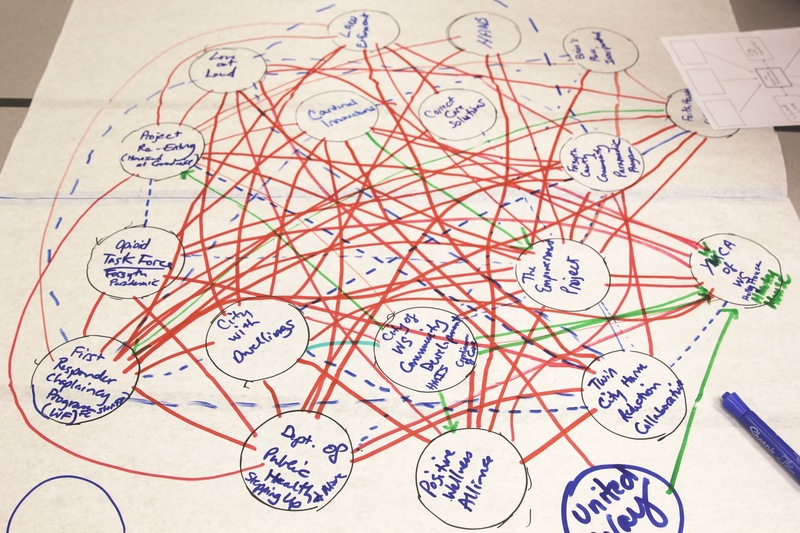 Participants fill it in and draw different colored lines—representing funding, current or desired new relationships, etc.—showing the links between organizations. In a listing-and-weighing exercise, all kinds of issues found their way onto sticky notes: work space acceptance (dealing with stigma of once a criminal, always a criminal”), re-engaging with family and community, medicine, helping with trauma, the profit motives of building more prisons, and having somebody on the outside who’s rooting for you. 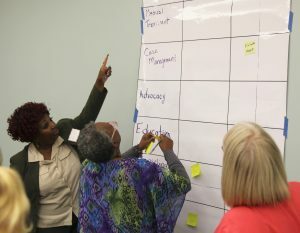 The group used a couple of rounds of prioritizing to identify the most important issues to focus on: helping reconnect was the highest, followed by housing, treatment, wrap-around services and access to health care. More followed, all important to a person struggling with the confluence of challenges. In yet another exercise each person listed five groups their organization either currently collaborates or a group they have met this day and would like to work with. They list what they have to offer the other group could use and what they’d like from the other groups. Though the group works hard, energy remains high throughout the morning. What difference do these mappings make? Cutts reports that earlier workshops—along with transparent dissemination of their findings—sometimes lead to astounding program, policy and service delivery changes within a few years. For example, a series of Hispanic mapping workshops held in 2014 in Forsyth County led to more respectful and improved care at a local clinic. More important, that mapping led to an informal collaboration between two competing health systems; the health department; the sheriff’s department; and a local initiative, FaithAction ID, that have issued more than 700 photo IDs to undocumented people. It’s now nearing noon on Friday’s workshop, a few members of Cutts’ team sit at the edges of the room capturing the comments on their computers and taking photos of the charts and maps, all entered for later analysis and reporting. Next steps are discussed. In separate meetings, Cutts and team will listen to the intelligence of those being served in the local jail, in homeless and re-entry programs, to help think through how to change the system for the better. The two efforts will then be combined into a report—with recommendations for moving forward—which will be presented in an October meeting. As people meet each other or renew old connections the aligning begins informally. Emails and business cards pass from hand to hand. Meetings are scheduled. No one has to wait for autumn to begin to see the value of the community health assets mapping program done here today.